Founded in 1958, our school has been helping girls to secure outstanding academic results and providing a well-rounded experience for over half a century. The school encourages a happy and harmonious community which respects the individual and celebrates the rich diversity of backgrounds and heritage of students and staff. 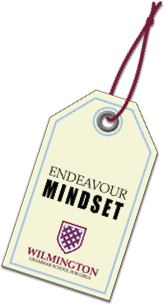 We are a growing school with 920 students currently on roll, but remain sufficiently small to recognise individual talents and ensure everyone is challenged and supported to reach their goals. Our core values of respect for the individual, the encouragement of involvement within school and externally and the development of initiative to provide students with confidence and curiosity are promoted through all facets of Wilmington life. We are delighted to announce and gain news that our Year 10 shot stopper J. Beadle has been successful in being called up for @FA @England U15 for the Delle Nazioni Tournament in  from 23/4/19 - 5/5/19. We wish him the best of luck and are all extremely proud of you!